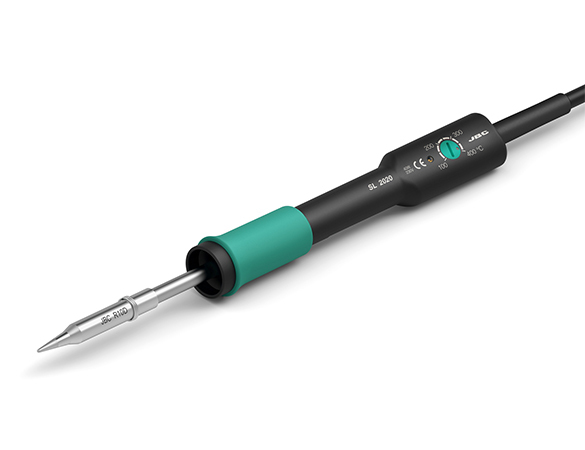 These soldering irons enable solder wire to bed trough as necessary, thus freeing the hand that normaly holds the solder when soldering. It allows you to increase the quantity of production an reduce costs. Essential for repetitive jobs and where a "third hand" i needed to hold the component when soldering. The soldering irons are fitted with a reel solder P/N: SN5450 Solder feed from external hig-capacity reels can be arranged.